Wound component and power quality specialist REO (UK), has become the latest member of GAMBICA, the trade association for Instrumentation, Control, Automation, and Laboratory Technology in the UK. The company hopes that the move will allow it to strengthen its supply and customer value chains. The industries represented by GAMBICA are worth close to £6.9bn according to the Office of National Statistics. The trade body has over 200 members with exports of £3.7bn and a positive trade balance in excess of £260m. Within GAMBICA there are several groups open to members, which influence areas of significance such as regulation, political lobbying and economic forecasting as well as management systems and exports. This concerted effort strengthens the industry by providing a collective voice for the sector, reflecting the opinions and common interests of members. GAMBICA excels as a thought leader by working closely with other influential bodies in the regulatory environment. REO (UK) is an original manufacturer of power equipment including electronic controllers, components and electrical regulators. Its main customers are drive manufacturers, systems integrators and control panel manufacturers. As a result, REO (UK) has joined the ‘Industrial Automation’ and ‘Variable Speed Drives’ groups of GAMBICA, with the objective of gaining insights into current trends and up to date thinking. 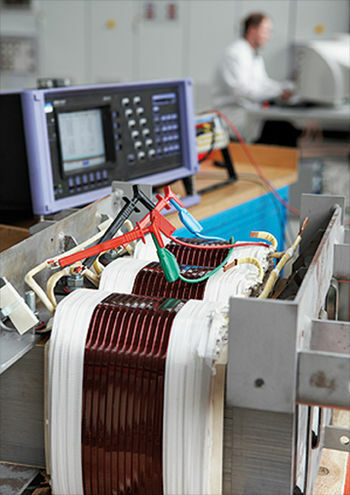 Relevant products in REO’s range include EMC and Sinewave filters, input and output chokes, and braking resistors. “REO’s global brand and supply chain allows us to draw on expertise internationally to help other members benefit from improved legislation in the UK market,” said Tim Cooke, business development manager at REO. “One area of legislation we’re interested in at an EU level is the ECODESIGN requirements for electric motors. From 2009 onwards, the EU has been implementing a phased rollout of energy efficiency targets and all electric motors introduced to the market must comply.